FlowVis is the most advanced, affordable and reliable precision flow meter, specifically designed for pools, spas, fountains and water features. NSF certified to 50psi, the meter has the combined functionality of a flow meter and check valve and an average accuracy of 2.01% between40-400ly/min or 20-110GPM. 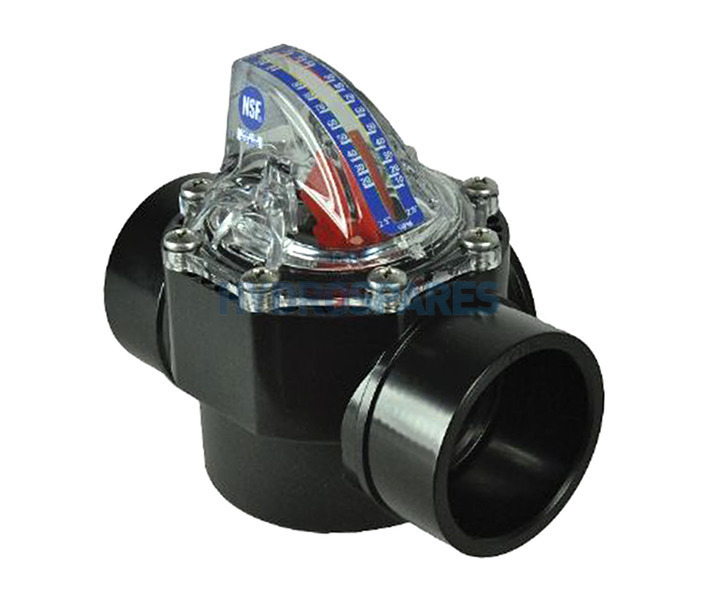 It is super easy to install as it has no requirement for the 15x the straight pipe diameter that is necessary with other flow meters. In fact it can be installed horizontally, vertically or even upside down! Two models - FV-C for 2 or 2.5" pipe. Installation flexibility, less space required than other flow meters.